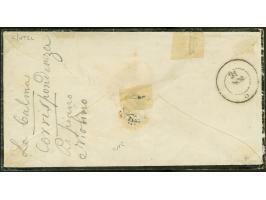 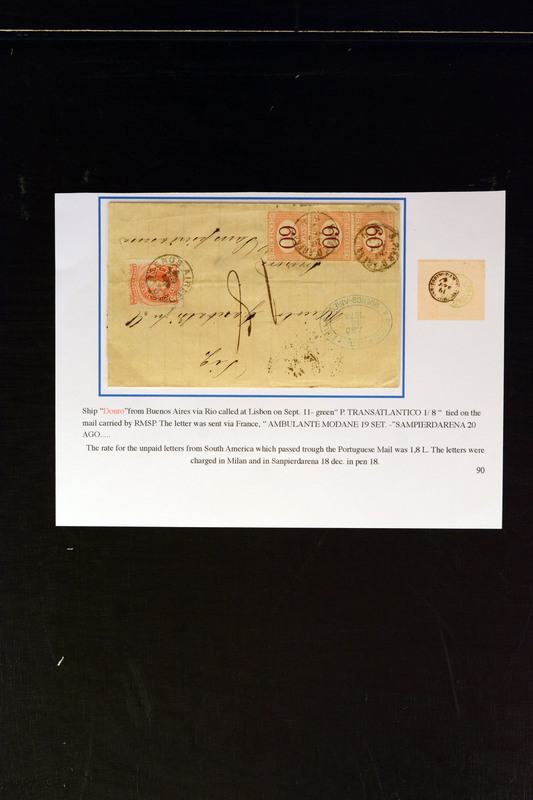 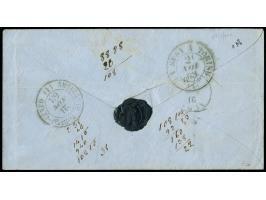 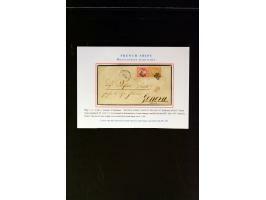 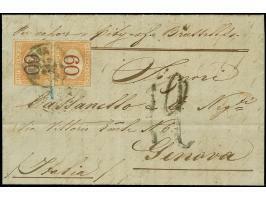 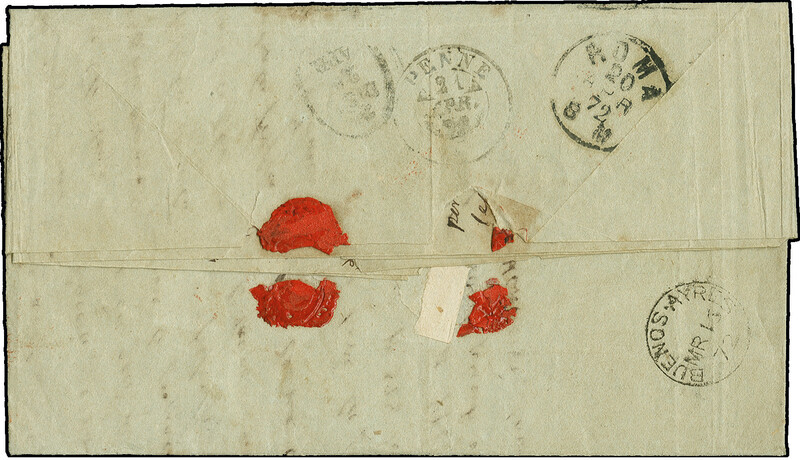 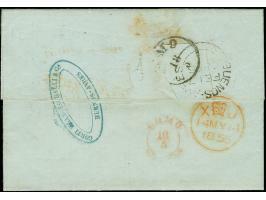 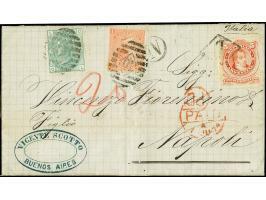 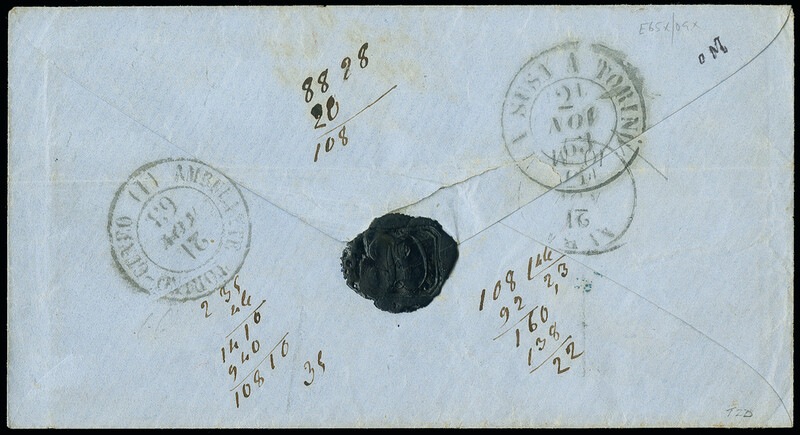 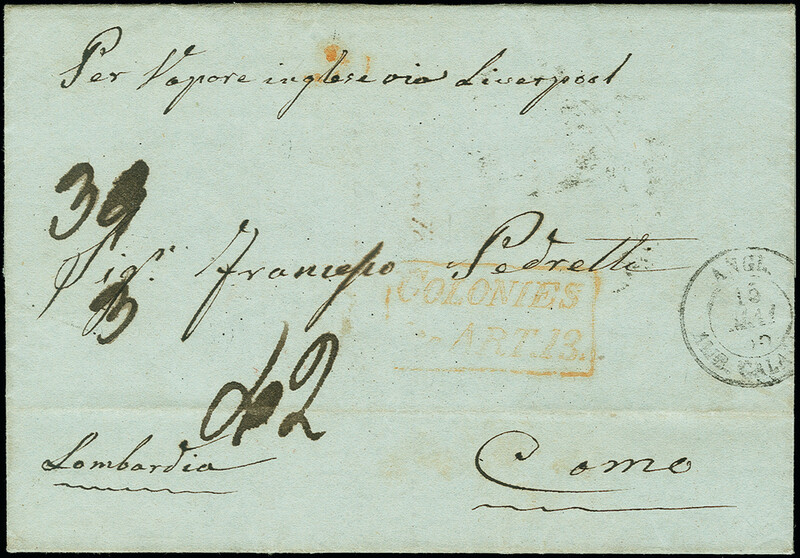 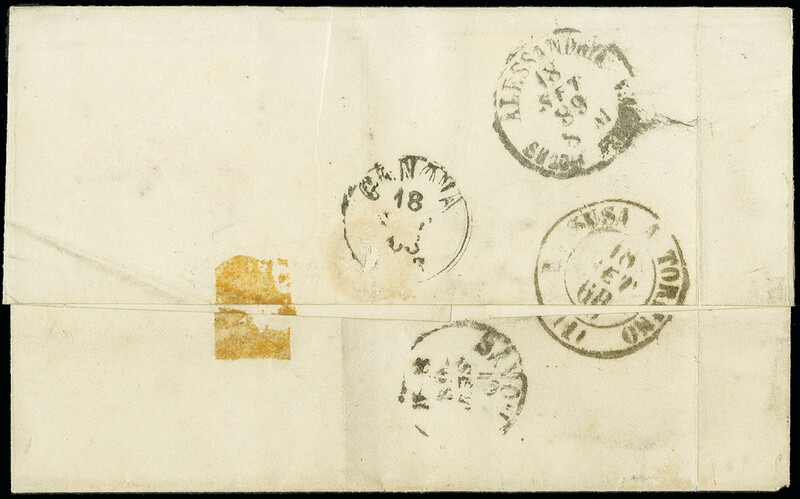 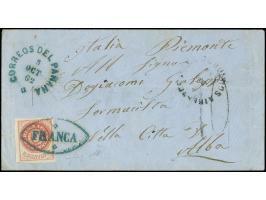 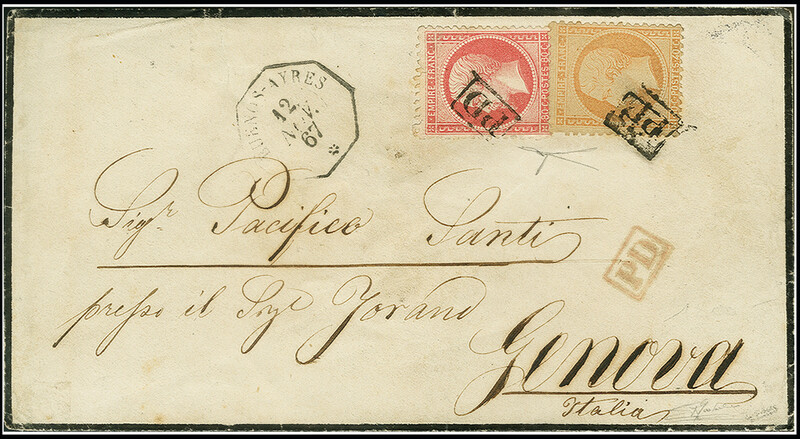 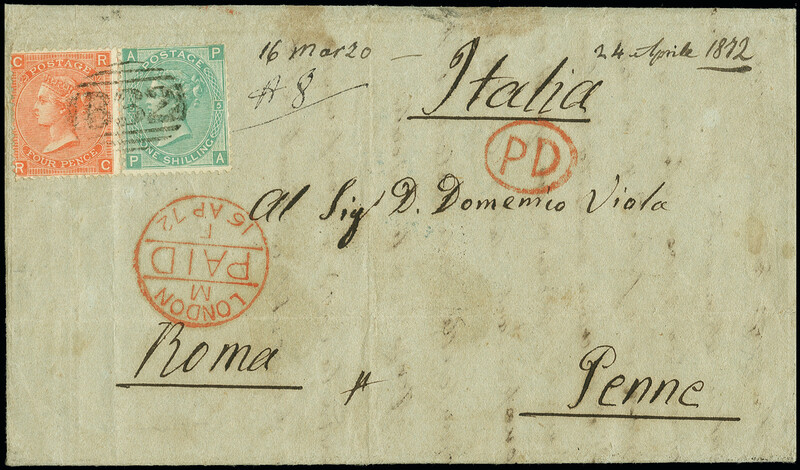 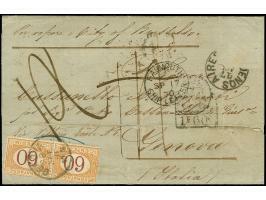 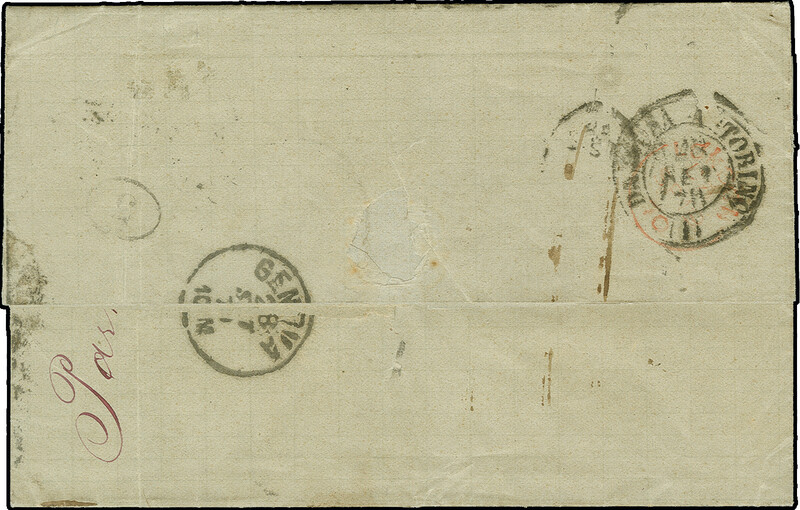 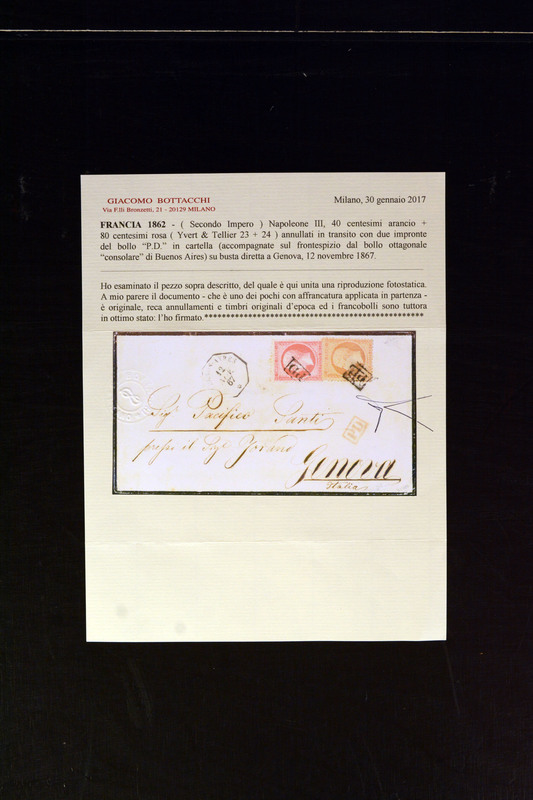 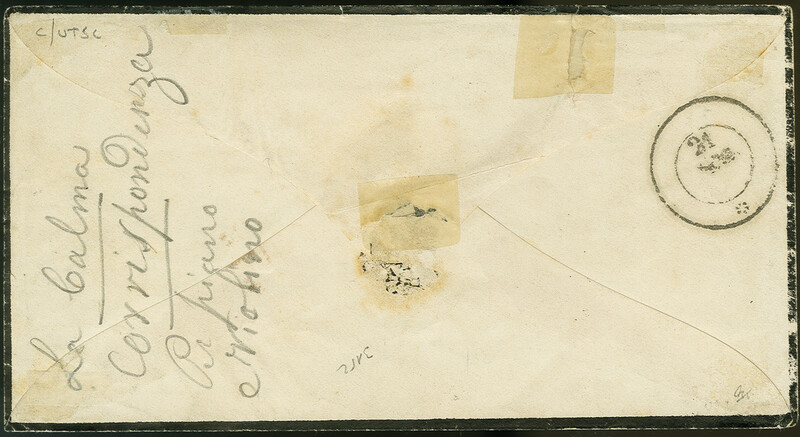 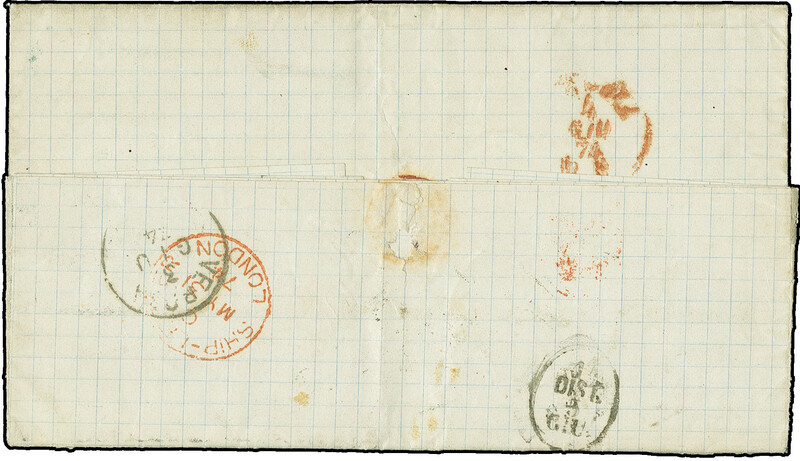 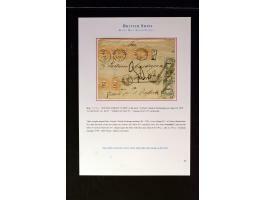 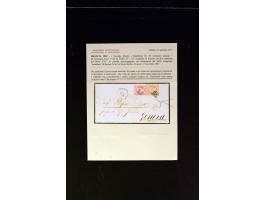 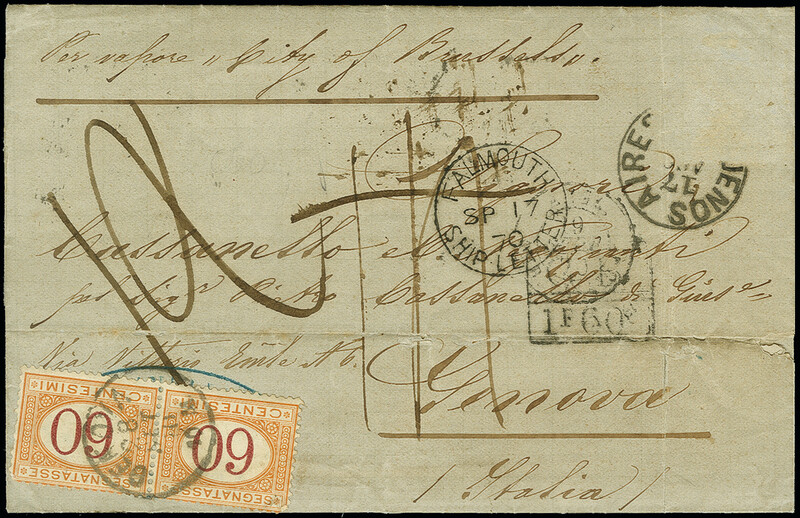 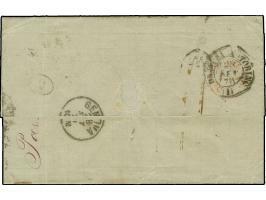 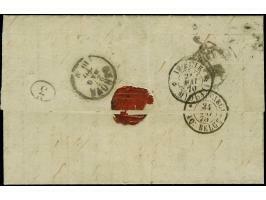 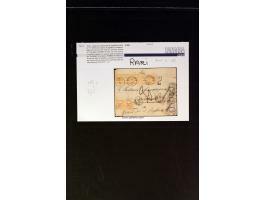 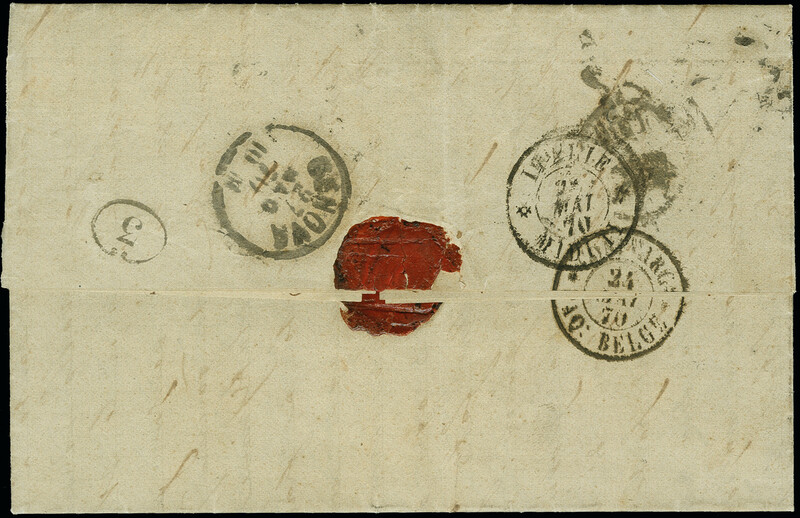 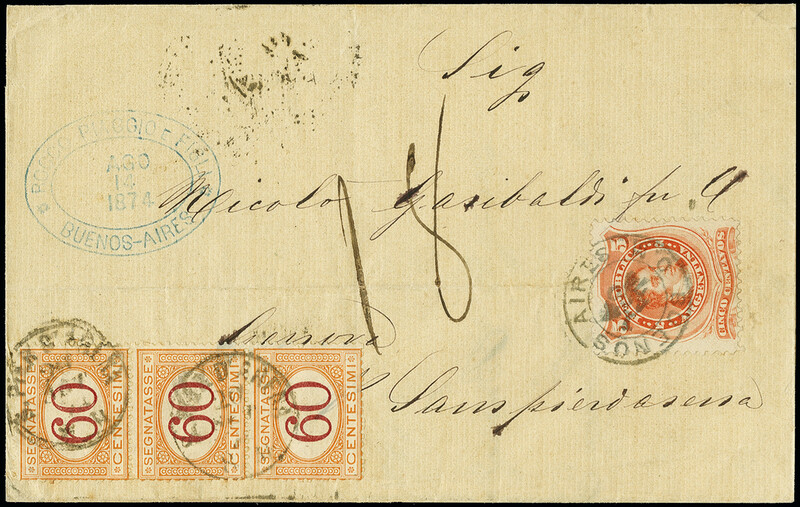 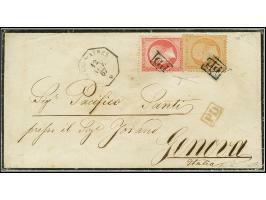 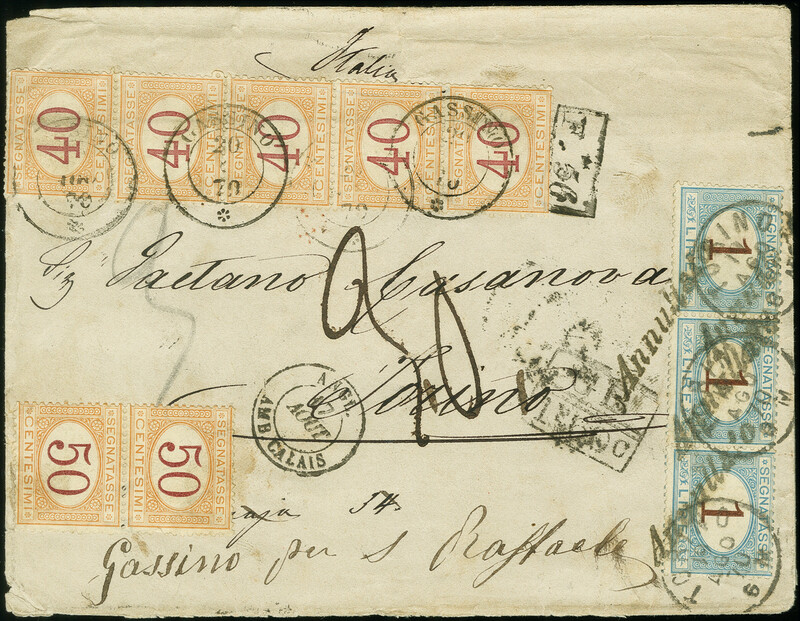 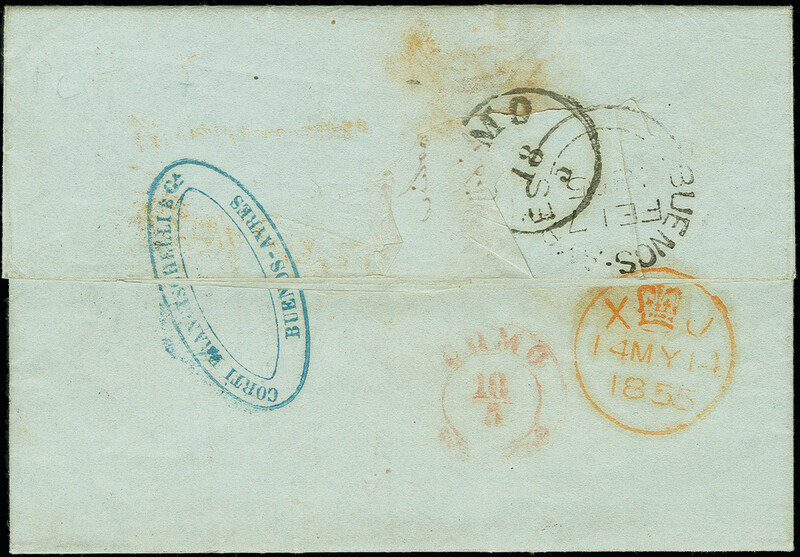 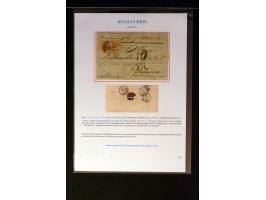 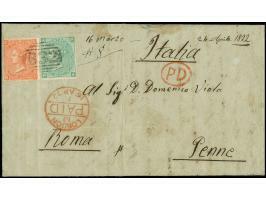 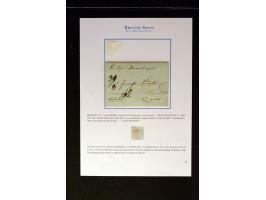 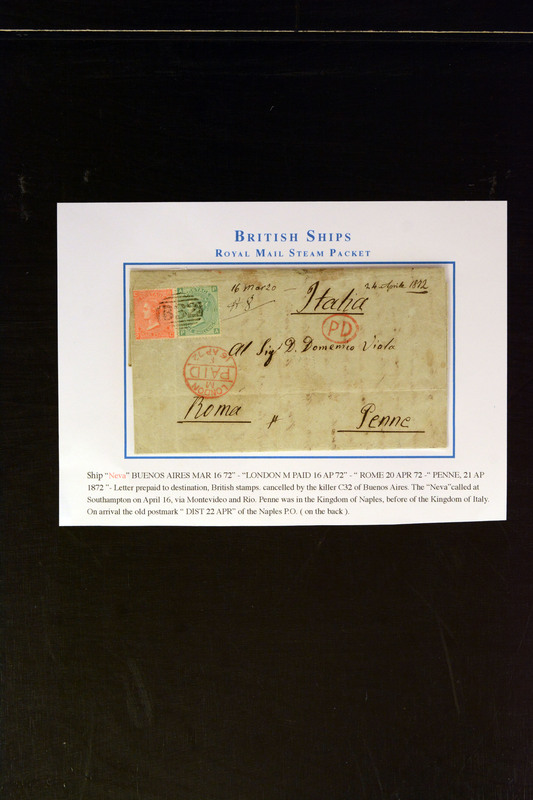 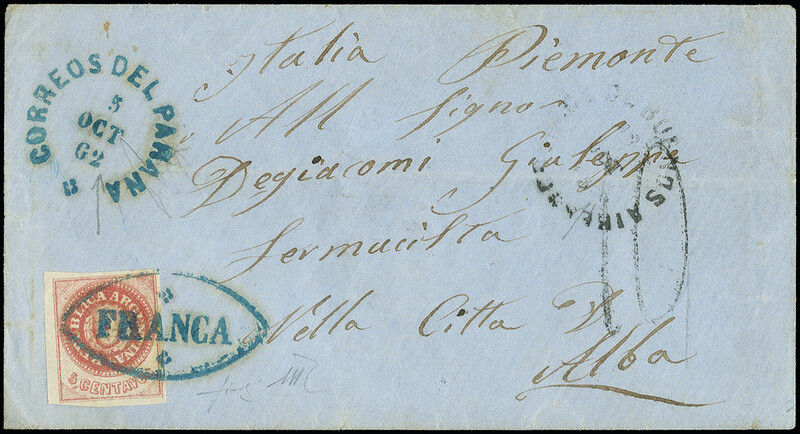 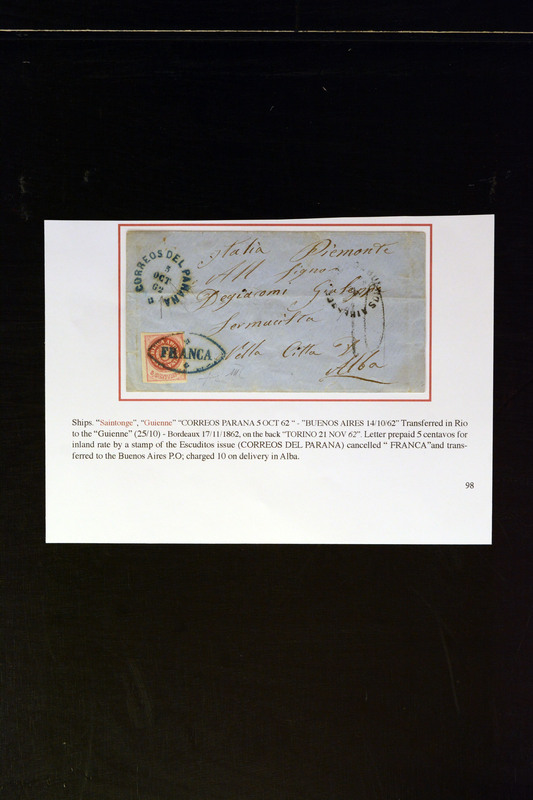 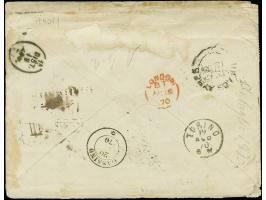 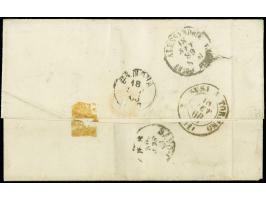 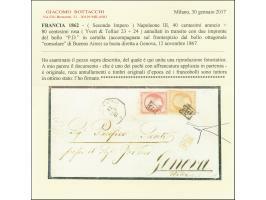 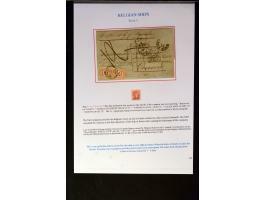 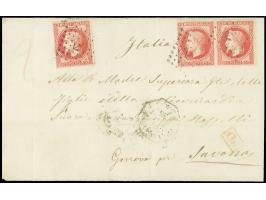 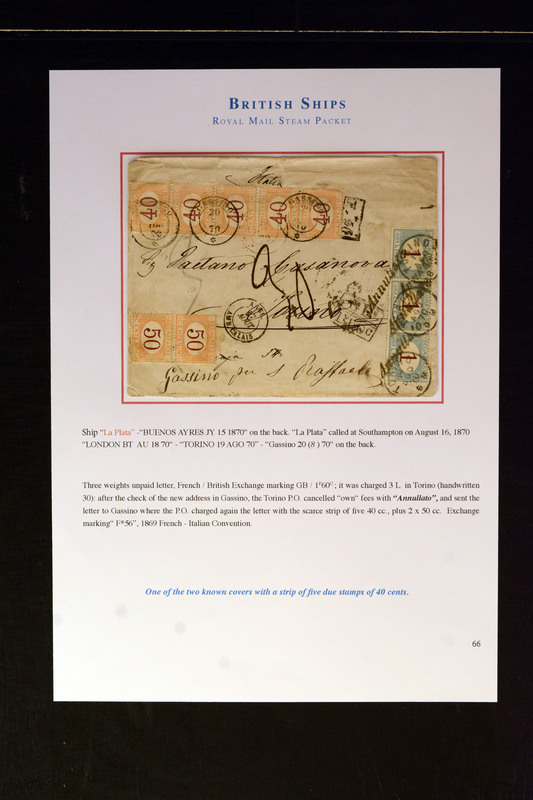 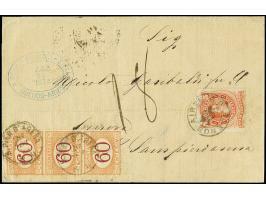 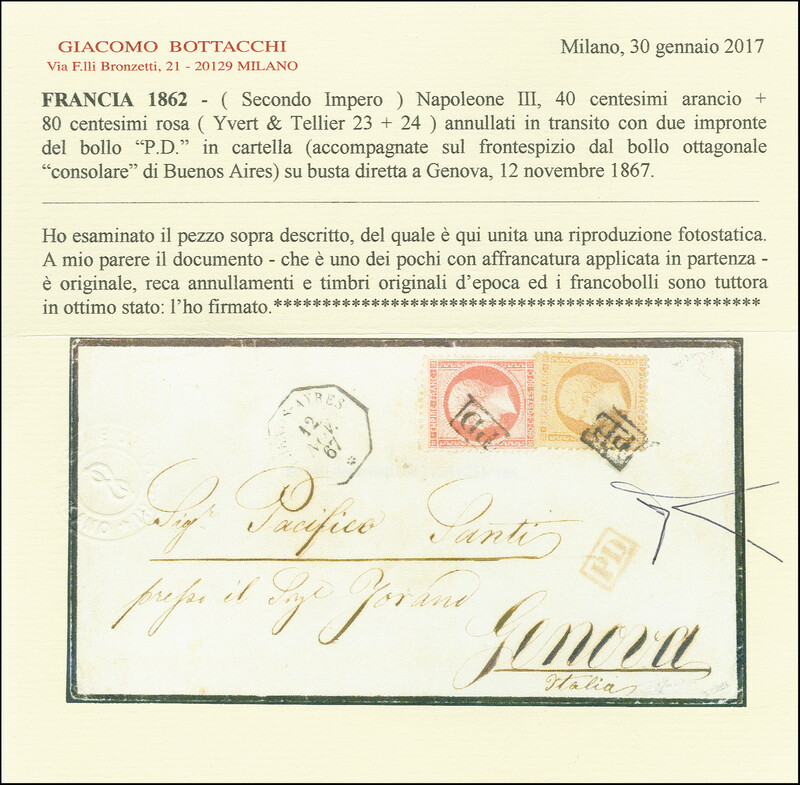 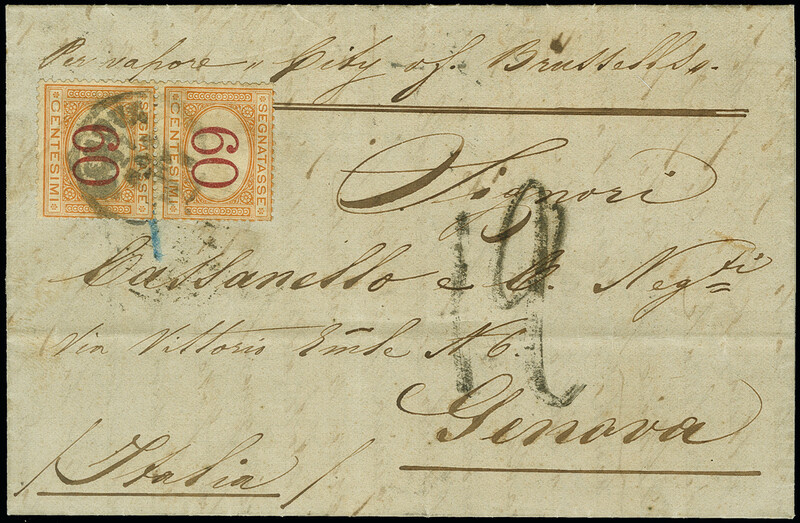 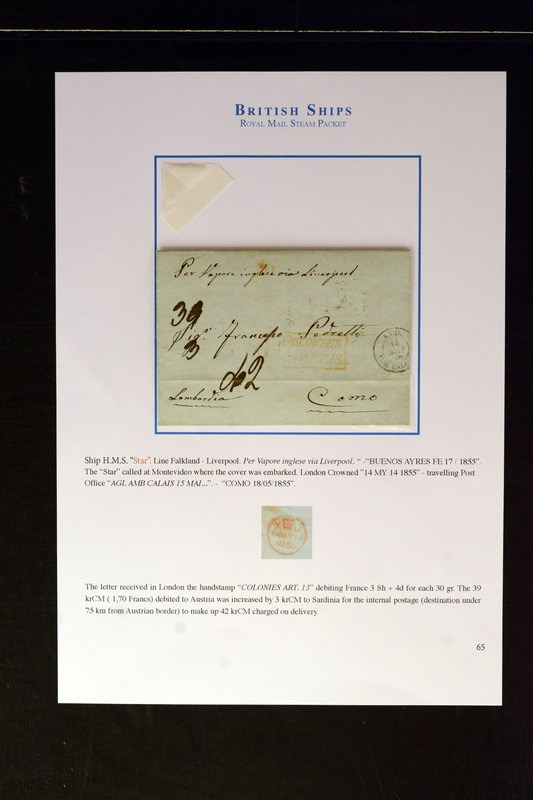 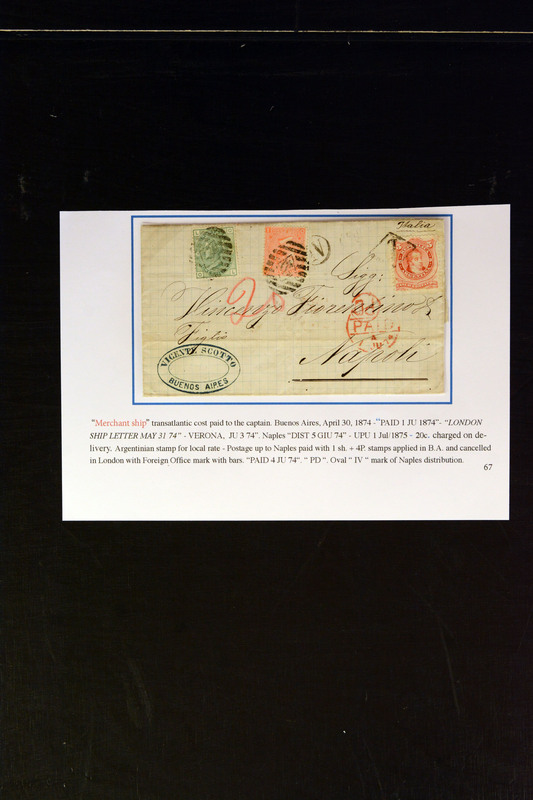 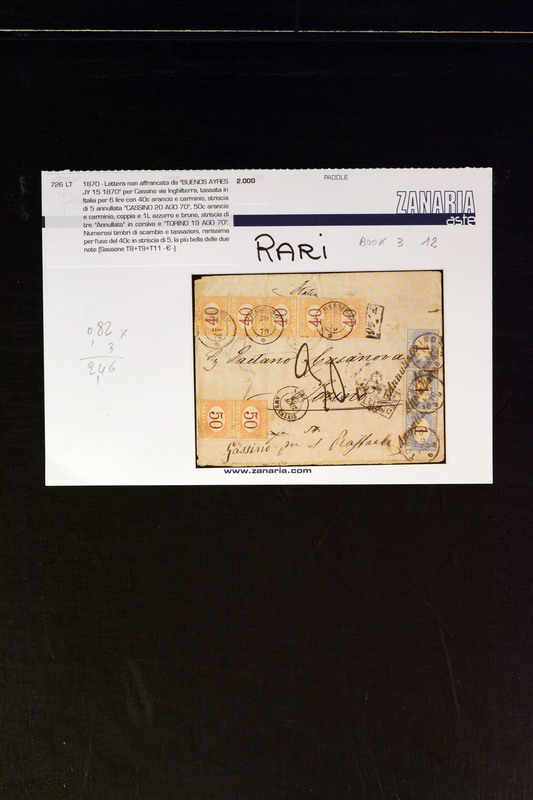 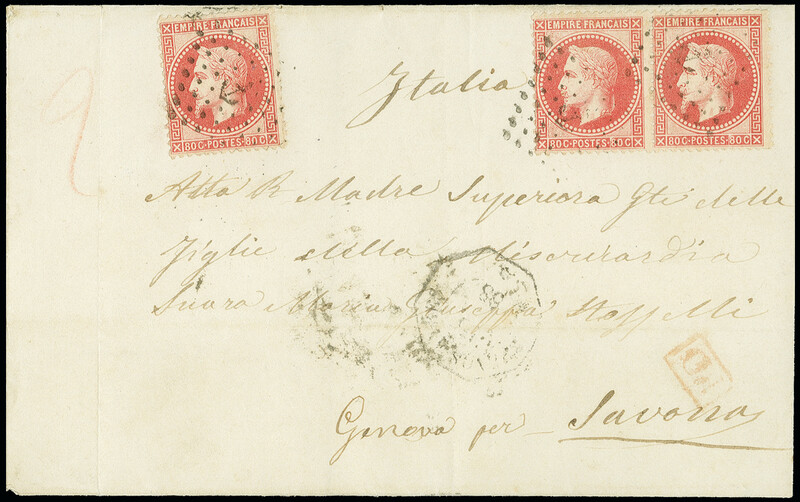 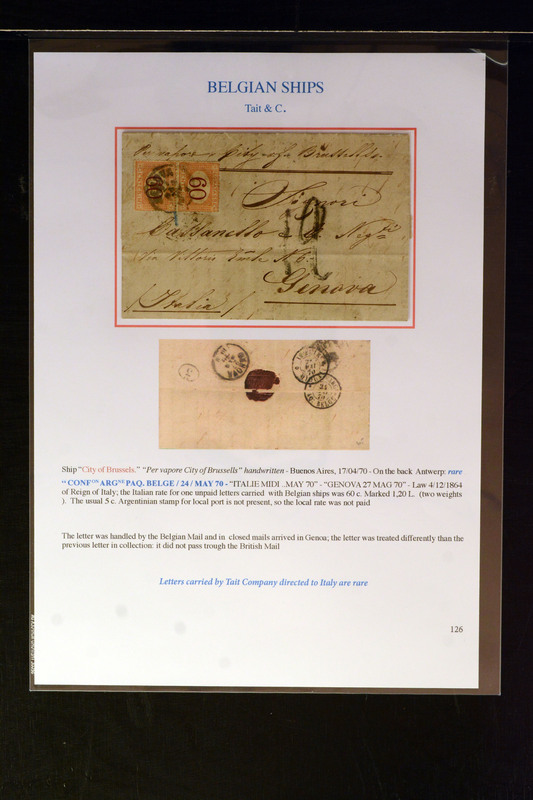 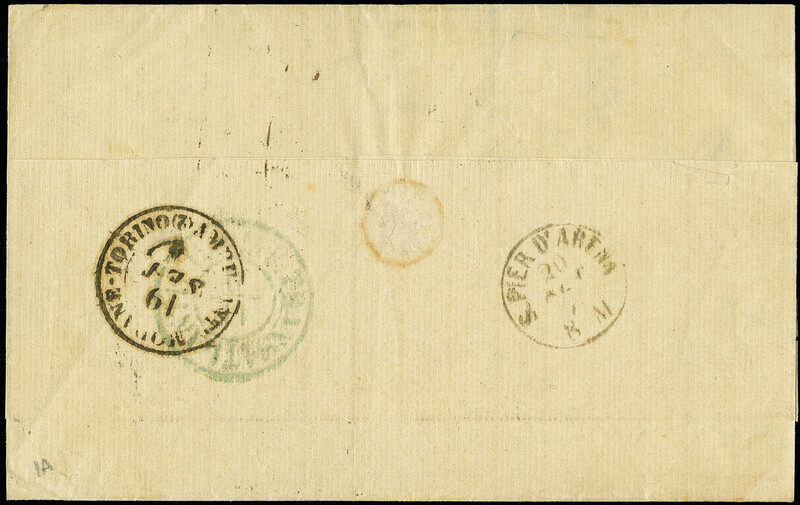 1870, folded letter from "BUENOS AIRES 17 AUG 70" (adhesives missing) endorsed "Per vapore City of Bruxelles" to Genoa, with "FALMOUTH SHIP LETTER SP 17 70" and accountancy marking "G.B. 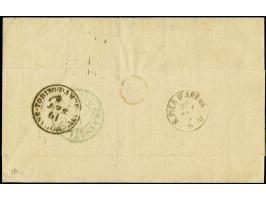 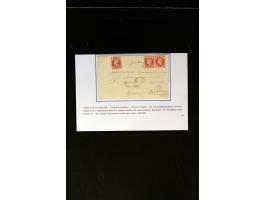 1F60C" alongside, upon arrival first charged with "14" this cancelled and charged "12" thus postage due 60c. 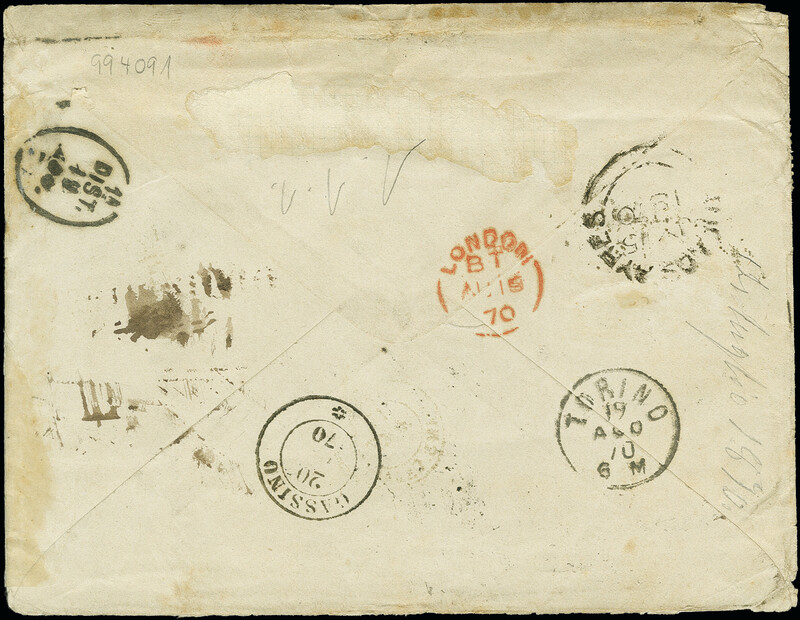 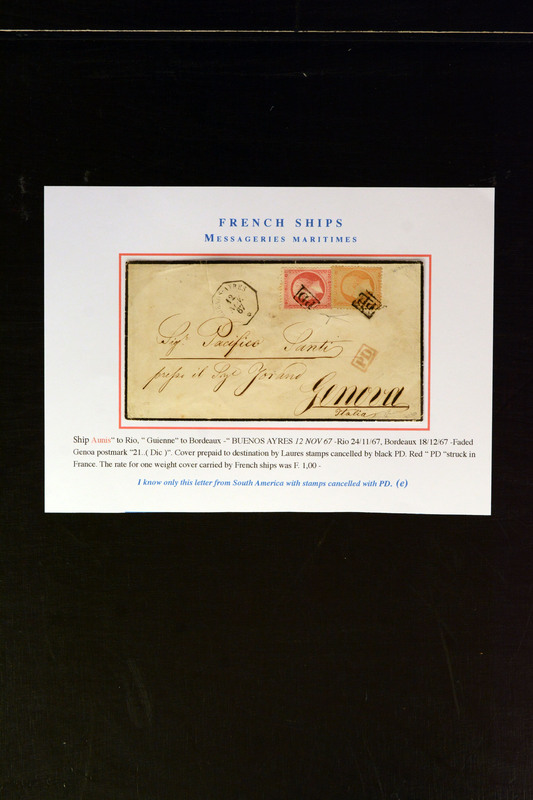 as pair applied and tied by cds., adhesives and letter with some imperfections, but a very rare cover being one of the few letters carried by this ship in very difficult times. 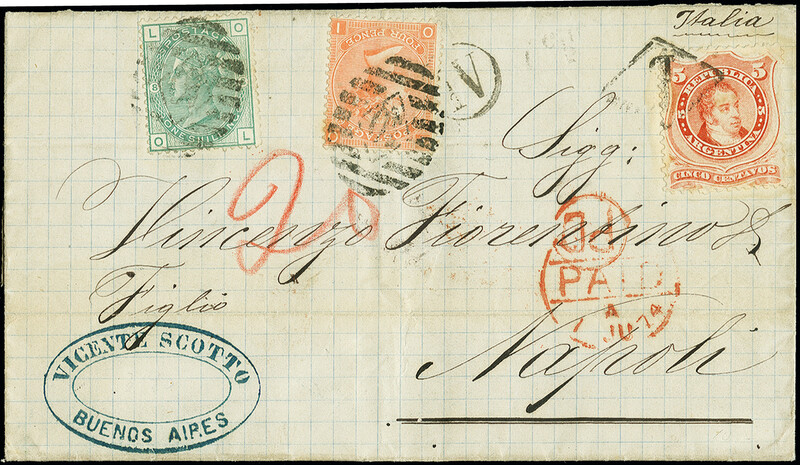 When the letter arrived in Calais the French-Prussian war was in progress and the postal routes were interrupted. 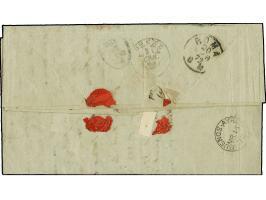 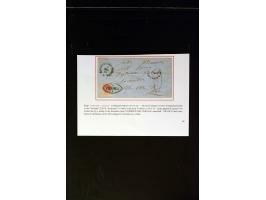 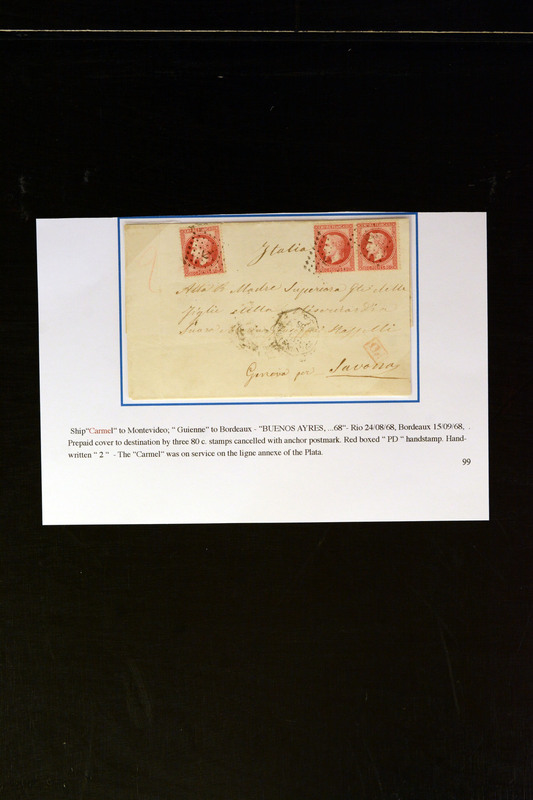 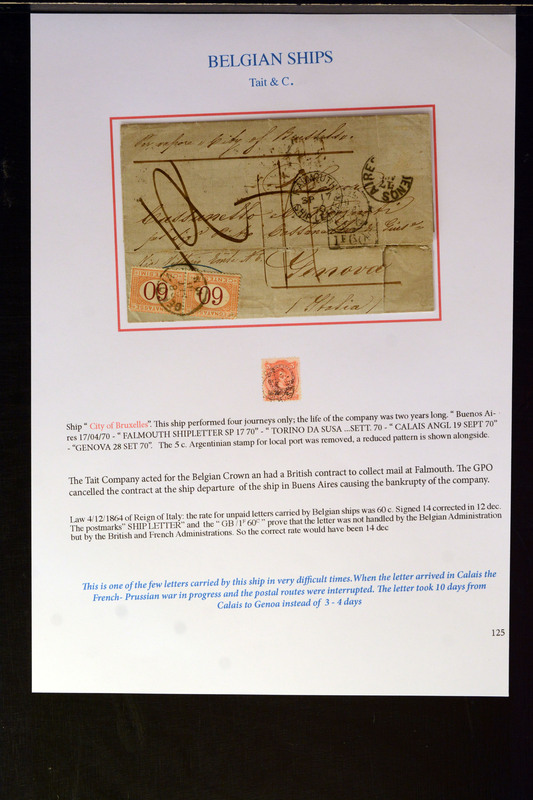 The letter took 10 days from Calais to Genoa instead of 3-4 days The Tait Company acted for the Belgian Crown and had a British contract to collect mail at Falmouth. 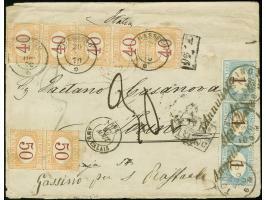 The GPO cancelled the contract at the ship departure of the ship in Buenos Aires causing the bankruptcy of the company.